It has been nearly a year since achieving my wanderlust bucketlist traveling to Korea and not a single day that I would say I will not miss the time there. 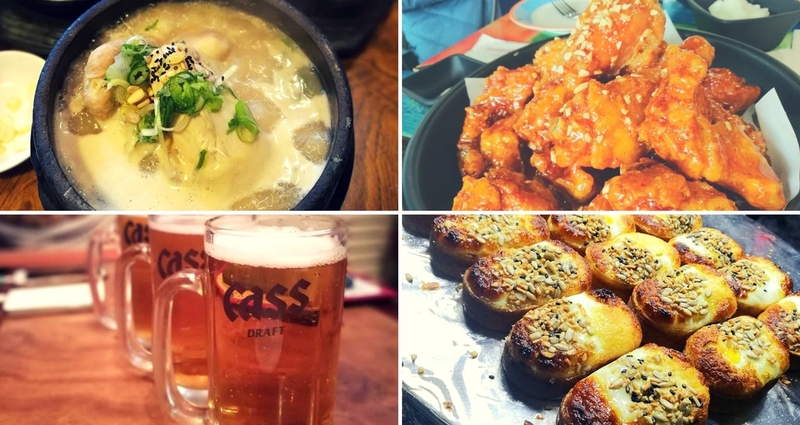 Winter has come and snow falls upon the city in this joyous month of the year, and there are no other ways to keep warm than searching and hunting for these 8 awesome cuisines to conquer the cold breeze. What better way to keep yourself warm than having a few drumsticks or wings going along with pints of beer? Located in the prosperous city of Myeongdong, this fried chicken restaurant is the best place for a chilly night supper to keep you warm while you savagely bite the flesh off the bones of the juicy chicken. 2) Hunt For Street Food! The perks of being in Korea is that you would never run out of things to indulge! Night market and food stalls are literally everywhere in the city from the spicy tteokboki and sausage sticks just below from your hotel to the eye-catching egg bread and grilled squids and waffles (look Eleven, your eggos) from the vendors of Myeongdong streets. Drinkers could search for this glorious pub for Korean traditional wine and soju to be paired with different flavours and be treated with the various tidbits and finger foods to take the day off from the cold weather. Stay far away from the bingsu offering in this well-known cafe, especially in the winter season which is a no-no although it is so tempting just by looking at the pictures in the menu. Instead, order up some hot drinks to sip while looking out to the streets and gaze your eyes upon some pretty Korean ladies. The café’s signature Injeolmi Toast must not be missed during your visit here. Trust me. Those chicken soup with “built-in” rice are the best to be savoured and is a feel-good meal to be taken in the cold season. Fancy yummy breakfast regardless of long queuesin the morning? Then this is the one but for beef eaters only, as the restaurant offers only beef stew and fish soup that will satisfy your taste buds and heart warming. 7) What Else? Go On Scavenge For A Smoky Korean BBQ! Korea’s signature meals are none other than the burning and grilling of the sizzling, juicy tender meat (samgyeobsal) to be best go along with a Chumchurum soju or a few cans of Hite Beer. Those combination would be more than enough to make you sweat even in winter season. 7-Eleven, CU and GS25.. These are the marts available for 24 hours at your convenience should you feel the hunger for supper in the cold nights. Snacks, cookies, chips, all sorts of hot cups of ramyeon and variant flavours of soju for you to beat the cold through the nights.